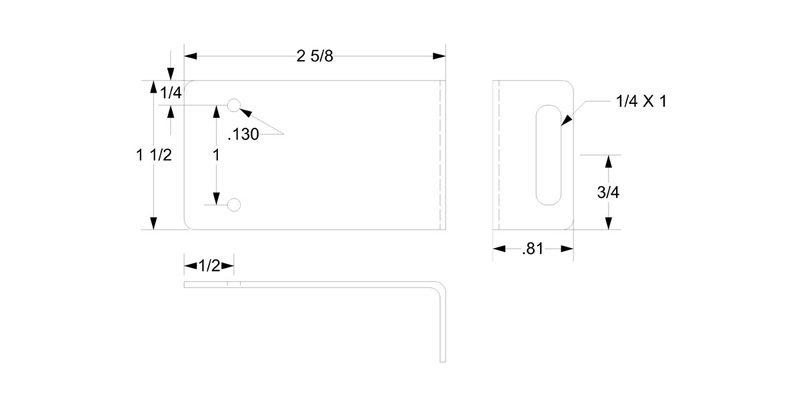 Wing Turn Draw Latch can be used for various enclosure sealing applications where the cover and box are aligned in a manner to achieve an over center camming action with the catch. 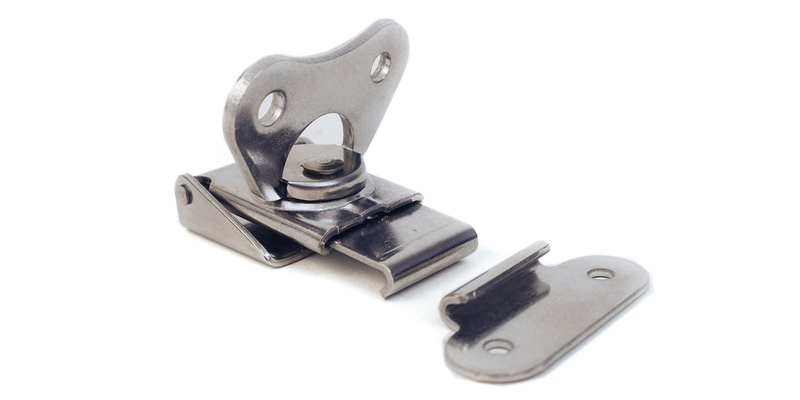 Wing Turn Draw Latches or “Butterfly” Latches, as they are sometimes called, offer the same latching capabilities as a spring compression latch but use a turning motion to cam the catch in place. 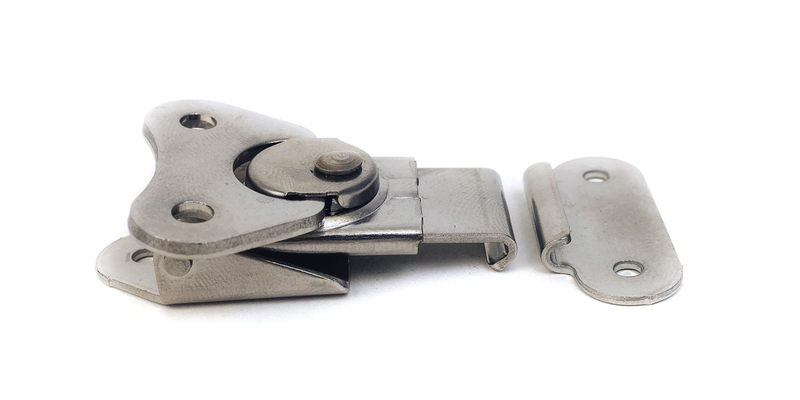 In addition, the hinged base accommodates a certain amount of off-plane latching. 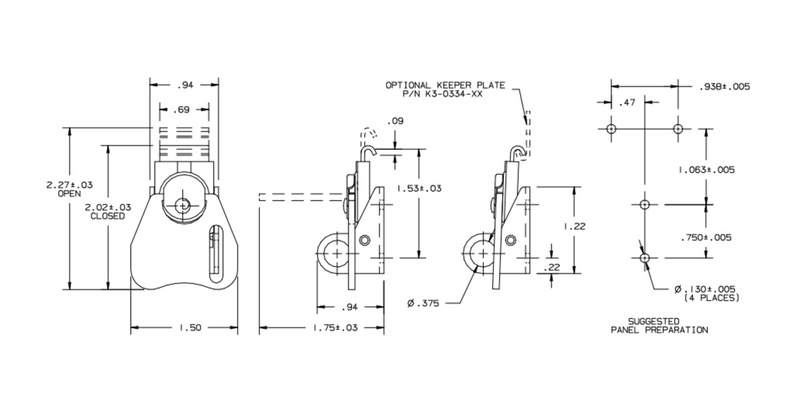 FabTech offers the Wing Turn Draw Latch most commonly used on “shoe box cover” type enclosures. 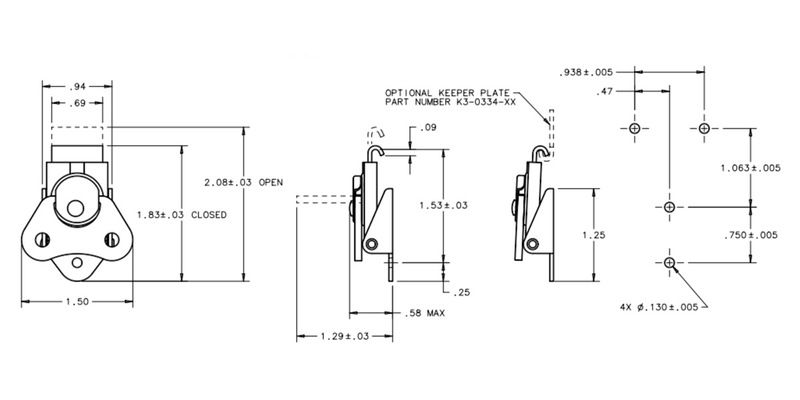 Also, available is a long slide version which can be used with a special strike to convert “NEMA” 3R enclosures from screws to latches. 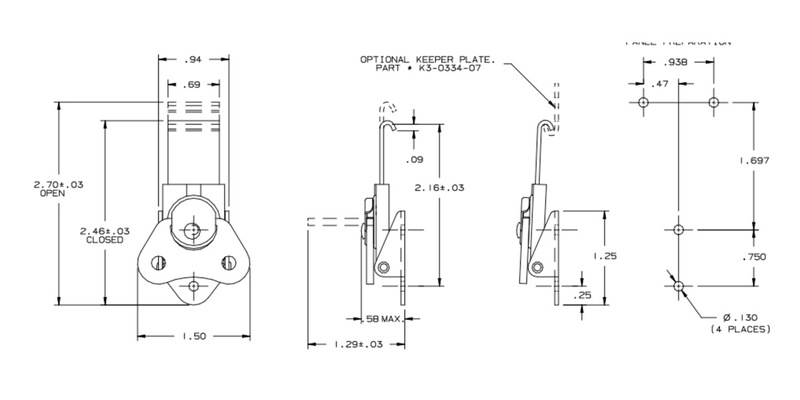 The catch and strike may be installed using rivets or screws or may be welded into position.